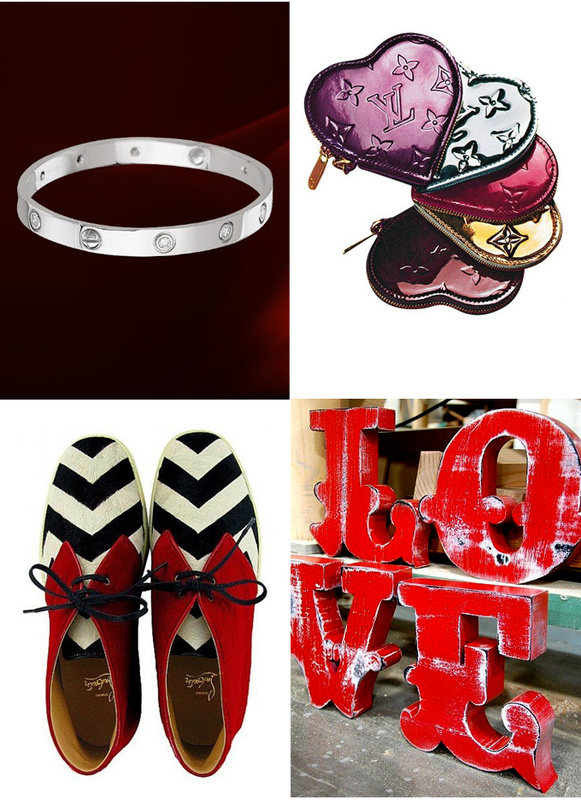 Rouge: Luxe Valentine’s Day Inspiration & Invitations! Happy Valentine’s Day! One of my favorite things about Valentine’s day (aside from the abundance of yummy chocolates…) is the beautiful inspiration and luscious designs that one gets to see from this romantic holiday. 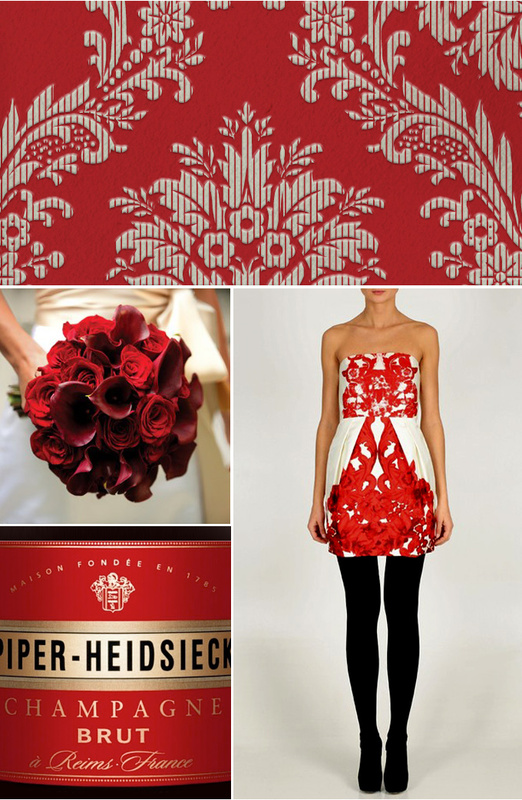 Red is one of my favorite colors so pairing that with drama and romance is definitely a recipe for some beautiful things which I am excited to share with you today! I’m also featuring a brand new Valentine’s Day inspired laser cut wedding invitation design to wrap it all together. I just love how the laser cutting accentuates the delicate detail of our custom damask design motif! 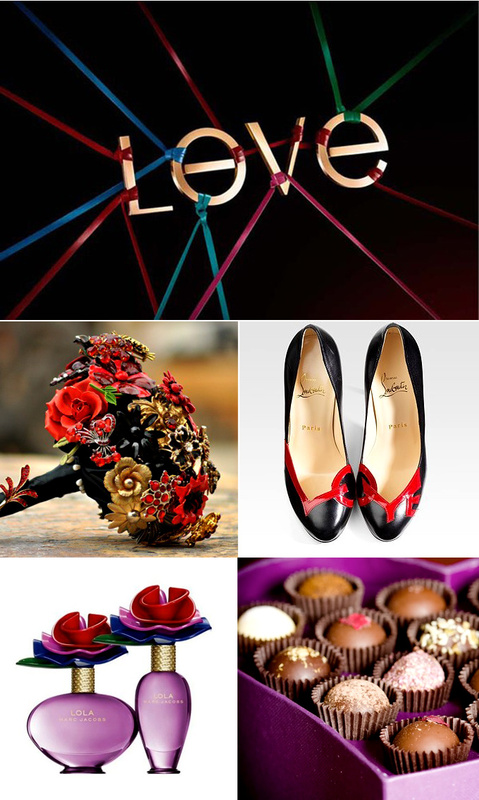 So enjoy our luxe inspiration and have a wonderful Valentine’s Day everybody! 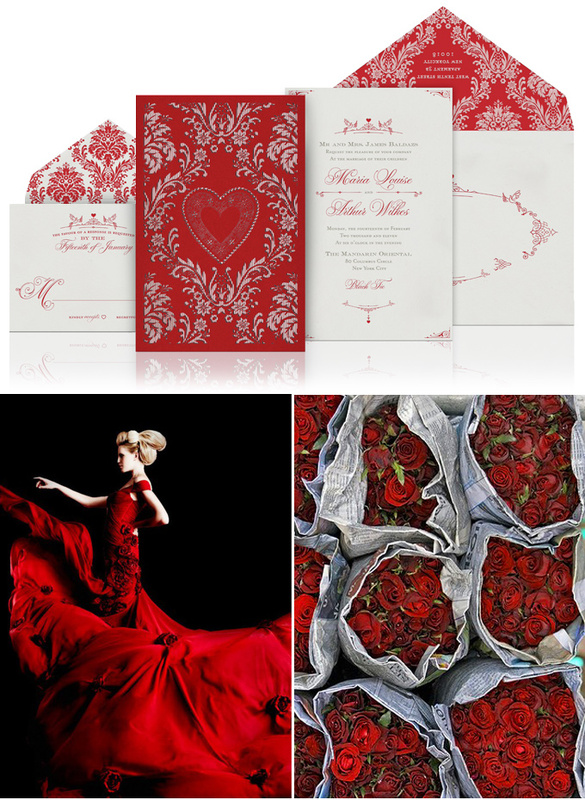 This entry was posted in Fashion, Luxury Wedding Invitations, Romantic. Bookmark the permalink.